I provide a high standard of internal decorating using Wagner airless and Wagner HVLP sprayer. 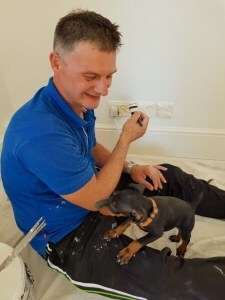 Individually tailored from quick refreshing for a house rent to more detailed painting and decorating needs. Thanks to paint-spraying systems I can accomplish small to medium sized projects in a time efficient and excellent quality results. – laminated floors and tiling service. please ask for the detailed quotation.